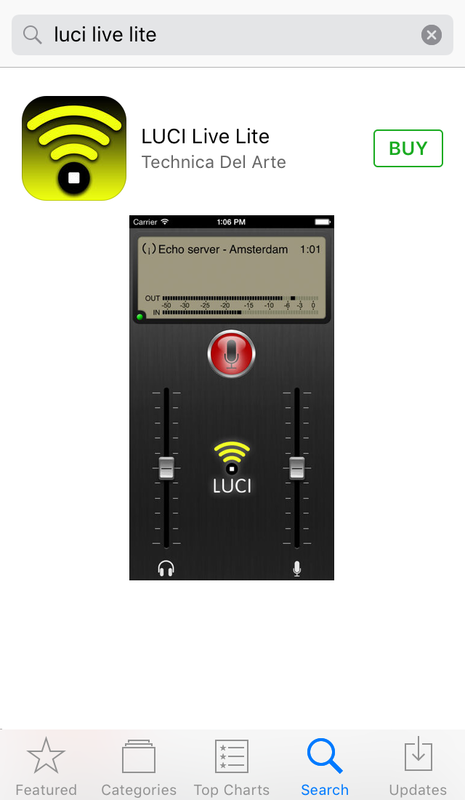 Install LUCI LIVE Lite for iOS via the iTunes App store, so choose App Store on your iPhone. <- STEP 2: Type LUCI LIVE Lite in search area. <- STEP 3: LUCI LIVE Lite appears and then tap ‘BUY’ in order to purchase. You will be prompted to the payment page. After payment the LUCI LIVE Lite App will be installed on your iPhone. Choose the LUCI LIVE Lite app on your iPhone to get started.